The Moortgat brewery created this wonderful brew and proudly presents this product at our online store. 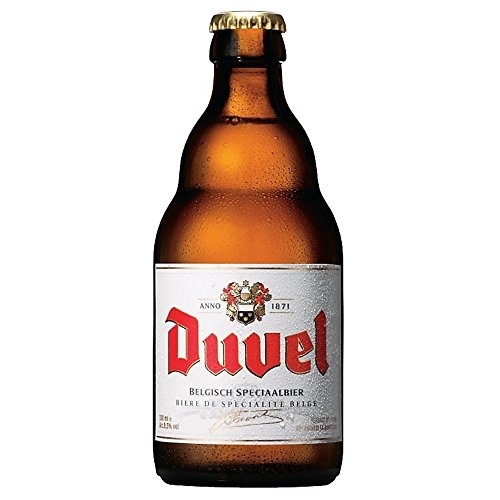 Duvel is blond coloured and has quite a full and creamy head. This glorious craft beer has a beautiful body and a wonderful aroma. 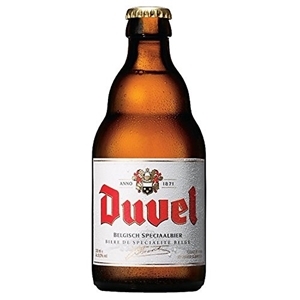 This famous Belgian specialty beer is bright and blond coloured and very refreshing. This brew is exclusively created with natural ingredients. Duvel matures for about 2 months in the Duvel Moortgat brewery. We advise you to serve this excellent and tasty beer at 6°C in a matching beer glass.